2018 sees our friends at Revol proudly celebrate 250 years of manufacturing. A family run company passed through the generations since 1768. Revol continue to lead as one of the top porcelain manufacturers in the world and why wouldn’t they? Their products boast quality, style and beauty. Equinoxe introduces a completely brand-new colour to the existing pallet. 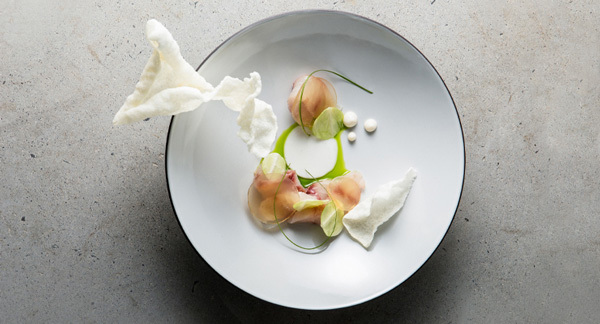 Chefs looking for that blank canvas to display their masterpieces on will love this. Simple yet beautiful! A full range of dinner and presentation plates, bowls and Dim Sum pieces available. Oozing with heritage the legendary pieces of great French cuisine are now available in Pepper tones. 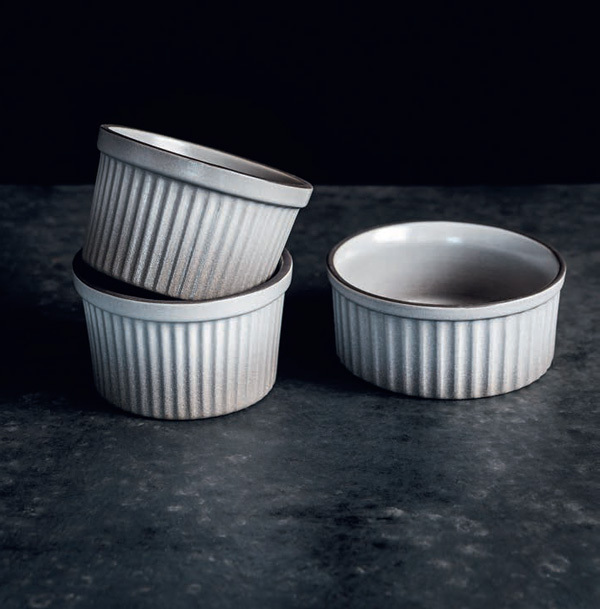 Discover a wide range of ramekins, soufflés dishes, eared egg dishes, terrines, cake dishes, lion-head soup bowls… the very best of French culinary tradition gathered in one collection. The pepper finish is gradually shaded down to the beautifully stylish black, unrefined porcelain at the bottom of the dishes. The edging finishes off the structure of the design and enhances the presentation of your food. As with all of the other products made by Revol, the ‘‘Pepper’’ finish is freezer, oven, microwave and dishwasher safe. Selected pieces available to view in our showroom. Looking to create a dish that really screams Wow!! These plates are the perfect canvas. Available in 9 different styles these pieces will certainly not disappoint. Perfect for Signature dishes and bringing theatre to your table - Pure inspiration. Striving to surpass themselves at the cutting edge of design, invite your expert eyes to admire the workmanship in every unique detail of Revols latest collection.